(Boston, Mass. - June 29, 2009) Research findings presented today in Boston to the federal Research Advisory Committee on Gulf War Veterans' Illnesses noted similarities between Gulf War Illness and Chronic Fatigue Syndrome. 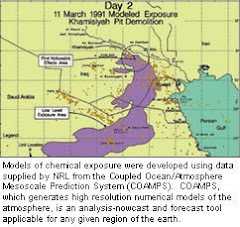 Most significantly, the research findings showed that following an exercise challenge, Gulf War veterans had genetic and other measurable biological markers showing not only significant abnormalities related to pain, sensory perception, and the functioning of the immune and endocrine systems, but that these abnormalities dramatically worsen following exercise. Dr. Nancy Klimas, a distinguished researcher in Chronic Fatigue Syndrome (CFS/ME), Gulf War Illness, and related health issues who is at the Miami, Fla. VA Medical Center, today presented her team's research findings in a public presentation entitled, Impaired immune function in Gulf War Illness. Her most recent study involved issues surrounding the study of multi-symptom illness with a multi-system pathogenesis, which are the same for GWI and CFS. The study involved an exercise stressor model, with sampling before, at peak, and four hours after an exercise challenge using an exercise bike and a VO2 submax challenge. Blood and saliva samples were taken throughout from the matched ill Gulf War veterans, Chronic Fatigue patients, and health controls. A comprehensive set of genomic and other data was developed from the samples. CD26+ lymphocytes were found to be elevated in both CFS and GWI, with the highest level in GWI. The findings also showed a reduced sDPPIV/CD26 in blood plasma, even more reduced than in CFS, which is reduced from the healthy population. Preliminary findings in new, ongoing research further suggest that in ill Gulf War veterans, hundreds of genes are abnormal at baseline, during an exercise challenge, and at four hours following exercise, with the abnormalities worsening to nearly double at rest following exercise. It is notable that these findings correspond with the reported experiences of ill Gulf Ware veterans. Pain, sensory perception, and numerous immunological, endocrinological and other processes were abnormal following the exercise challenge. 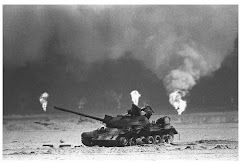 While these finding are only preliminary, they suggest that there are significant abnormalities in Gulf War veterans' inflammation, fatigue, and other symptoms, that they are much more abnormal than the abnormalities found in CFS patients. They also show that unlike CFS patients, whose abnormalities drop back nearer to normal after resting following exercise, Gulf War veterans get steadily worse. Dr. Klimas bases her conclusions on the research finding, concluding that CFS and GWI are similar, but GWI patients are sicker. Perhaps most significantly, and unlike CFS patients, GWI patients "fail to recover" following an exercise challenge, instead dramatically worsening. Dr. Klimas agreed that it is unclear whether the findings show the disease itself or the results of GWI. However, she believes that ongoing research will show the way to GWI treatments. licensed laboratory director in Florida. Dr. Klimas is Director of Research for the Clinical AIDS/HIV Research at the Miami Veterans Affairs Medical Center. A leader in the field of Chronic Fatigue Syndrome (CFS) research, Dr. Klimas is the current President of the International Association for Chronic Fatigue Syndrome. Dr. Klimas is the principal investigator of the National Institute of Health's (NIH) Center for Multidisciplinary Studies of CFS Pathophysiology at the University of Miami. Dr. Klimas has been appointed to the inter-agency CFS Coordinating Committee, chaired by the Surgeon General of the United States. She is the founding editor of the Journal of Chronic Fatigue Syndrome. Recent publications include 123 peer reviewed papers, 3 books and 19 invited chapters.